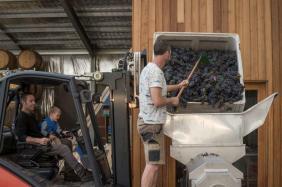 The Louise and Izway wines are offering you the unique opportunity of a back-stage pass to a genuine Barossa vintage. Winemaker and label owner, Craig Isbel, known for his impeccable palate and years at the helm of Torbreck wines, likes to describe his approach as ‘bucket chemistry’. Craig speaks clearly of his respect for handcrafting artisanal wines from exceptional vineyards, which is exactly where your day of Harvest Discovery begins, on a personal tour of some of the valley’s most hidden vineyard sites. A private tasting of Izway’s wines will conclude with lunch at local dining institution, Vintner’s Bar and Grill, where our global wine and food region’s story will come full circle. A bottle of Izway’s finest and three courses of some of Barossa best cuisine is the way all wish they could finish a hard-working day over vintage. When: Bookings are available on Tuesday, Wednesday and Thursdays each week. This experience will run from 10am until approximately 2.30pm. Due to the demanding nature of the harvest season and the boutique nature of this experience, bookings are strictly limited to a maximum of 4 people. Essentials: Guests should wear closed toe, non-slip shoes suitable for walking in a vineyard and working winery. Sun protective clothing and caps are also recommended.